Should Your Child 'Play Up'? While it’s obvious to those without a vested interest that these statements serve to reassure the parents making them that they are doing the right thing for their child, they incite tremendous insecurity and fear in the parents whose children are merely ‘average’ or, for whatever reason, aren’t aggressively pushing the boundaries of their age group. “Am I doing the wrong thing or holding my child back by not having him or her play up?” they think. The truth is that the decision to play up is a complicated one. Some leagues expressly prohibit it. Other leagues have specific guidelines about when they will and will not allow a child to play up. Still others have no rules about it, essentially rendering age-group designations moot. What playing time will my child get if he/she plays up? In any sport, the amount of playing time is critical to improvement. The number of at-bats against live pitching. The number of touches on the ball. How many times you shoot the ball with a hand in your face. Oftentimes, when a child plays up, he or she spends more time on the bench than in the game, while the coach defers to the older, more seasoned players. So while playing up sounds like a good thing for your competitive player, it ends up stunting their development in the long run. 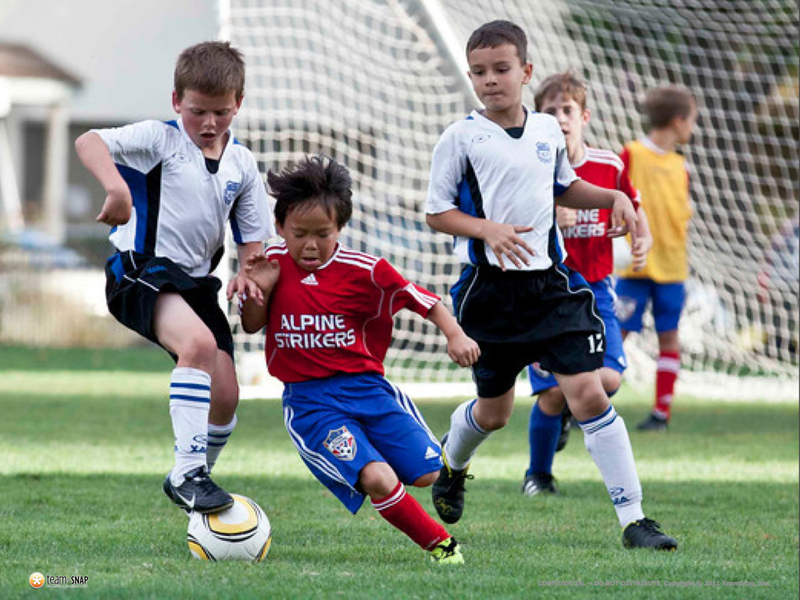 If your child is playing up on a team of older children, make sure he or she gets enough playing time to continue to improve. Is my child physically and emotionally mature enough to play up? Players with the best capacity to handle playing up at the younger ages are those who have reached physical maturity earlier than their peers. We’ve all seen the 12-year-old baseball player who towers over the other kids in the Majors division and dominates on the mound and at the plate. He just LOOKS like he’s too big for that diamond. But don’t forget to consider emotional maturity as well. If you bump him up to the next division, will he be able to handle the increased pressure of facing mature teens two or three years older? Some leagues have a guideline that states a player can only play up if he or she is among the top players in that upper division, which seems fair, but what about a pre-teen player that is as skilled as her older teenage teammates but is still a pre-teen at heart? Is a peer group important to my child? Does your child live for hitting batting practice with his school buddies? Is your 11-year-old daughter skilled enough to play with the 13-year-olds but hasn’t yet hit puberty, while it’s hard to ignore that all of the other girls hit puberty awhile ago? How will your son feel if he is the only player getting a ride with mom or dad, while the other kids are driving themselves and going out on dates after the game? The importance of a peer group to your child, and how he or she handles the lack of one, is a critical factor in consider in deciding whether your child should or should not play up. What life skills will my child learn if he/she stays with his peer group? If he/she plays up? I think this point is the one most ignored by parents in the pursuit of the perceived glory of playing up. What life skills will your child learn if he or she stays with his or her age group? Most likely, your child will be a team leader, a captain, a role model for the other kids on the team. If he or she is truly one of the most skilled players on the team, the coach will put your child in some kind of leadership role. On the other hand, playing up might mean your child will be relegated to the bench, become merely a role player, or even feel the increased pressure and have difficulty performing because of that pressure. When parents – and players – work together to think through the benefits and drawbacks of playing up, and consider these guidelines, families can make better decisions that keep youth athletes improving his or her skills, playing with the appropriate team, and staying happy! Has your child played up? Was it a good experience? Why or why not? Let me know.